The Inoa Gold Fundamentals are designed for those times when you need 100% coverage on 70–100% white hair using a warm fashion shade. 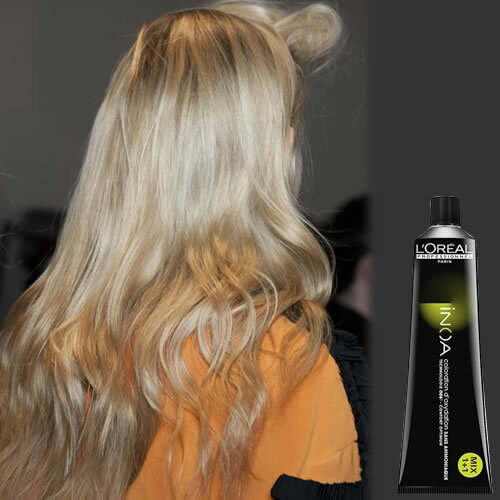 The range contains 5 of the shades from the main Inoa Gold family and like those shades will deliver vibrant warmth and luminous beauty to hair. 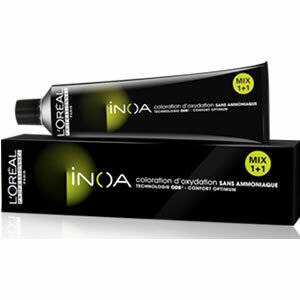 Your clients will love the even colour results that Inoa offers. More than that though, they'll love the absence of any bad ammonia smell or burning sensation on their scalps and the fact that their hair comes out of a colouring service in fantastic condition. Performance is great too with Inoa's ability to lighten up to 3 levels and cover up to 100% white hair. It's also easy to match Inoa to Majirel colours as their numbering systems are identical. Each Gold Fundamental shade comes in a 60-gram tube and should be mixed 50:50 with your chosen shade. Mix 1:1 with the appropriate strength of Inoa Oxydant. Development time is around 35 minutes.